Over the last month, the Canadian cannabis sector has been under pressure and we are monitoring this trend. 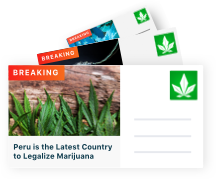 During this time, there have been several significant company announcements as well as a major announcement by the Senate where they approved the opening of the recreational marijuana market. Today, we highlighted 7 Canadian cannabis companies that are levered to the burgeoning legal cannabis industry. These companies have recently reported significant announcement and we have provided an update on them. The company intends to develop the project in stages and expects to retrofit the building with an initial phase of 10,000 sq. ft. of cultivation. Upon the completion of the first stage, successful operations and licensing, the company will then proceed with phases 2 and 3. Construction of the project is subject to financing and customary approvals. The market responded favorably to the approval letter and we are monitoring how the shares trade from here. 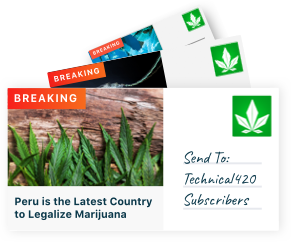 Relevium’s strategy is to cultivate high quality organic strains for use in exclusive, high-end consumer packaged goods primarily for health and wellness. The company does not plan to be a large scale producer and is focused on custom niche and organic products with established partnerships for processing and ongoing research in cannabis derivatives. The market for high-end products is significant and are favorable on this opportunity. If BCX can create market share and develop brands that resonate with high-end consumers, this can be a significant growth driver. With Canada’s recreational market set to open, it will be interesting to see how the market develops. We expect to see several types of consumers and expect the high-end side of the market to be massive. Relevium represents a differentiated opportunity and we are monitoring how the company continues to execute. When compared to other late stage ACMPR applicants, Relevium is undervalued and underappreciated. This is a company to keep an eye on! 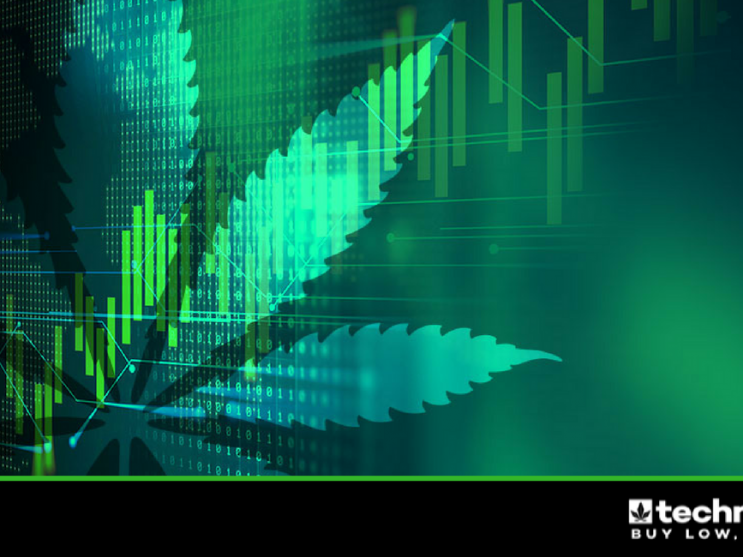 Over the last month, Canadian cannabis stocks have been under considerable pressure and The Hydropothecary Corporation (HEXO.TO) (HYYDF) traded lower during this time. We are favorable on this Canadian cannabis producers due to the funded growth initiatives, the significant supply agreements, and the valuation. Yesterday, Hydropothecary reported to have reached a major milestone in its expansion plans after Health Canada provided final licensing for an advanced manufacturing facility that provides the capability to transform, manufacture and package cannabis into a wide range of products. These expanded capabilities will allow HEXO to continue to improve its existing products while simultaneously equipping the company for the next round of products to become available under regulations. The manufacturing area facilitates even larger scale production of the company’s products. The expansion also gives HEXO optimal positioning as the company continue to prepare for the future adult-use beverage and edible cannabis market. The expanded area also includes automated primary and secondary packaging machinery, which will help meet the needs of the recreational market by expediting production rates on all HEXO products. HEXO also announced that all ten growing zones of its greenhouse expansion are now fully licensed by Health Canada. The company expects construction on the one million sq. ft. facility to be completed by year-end and this would represents a major catalyst for the cannabis producer. Earlier this month, we issued an update on Emblem Corp. (EMC.V) (EMMBF) following the signing of a recreational marijuana supply agreement with the province of Alberta. Although the Canadian cannabis company continues to execute and advance the fundamental story, the shares have been trading lower with the market and will be watching for a bottom. The recent decline is overdone and we are favorable on the continued execution. Last week, Emblem made a strategic equity investment into Natura Naturals, a 662,000 sq. ft. licensed greenhouse cultivator of medical cannabis pursuant to Health Canada’s ACMPR. The companies signed a three-year cannabis supply agreement to provide Emblem up to 3,000 kilograms of cannabis flower per year from Natura’s Phase 1 cultivation facility. In late June, Emblem announced the formation of a joint venture with German pharmaceutical wholesaler Acnos Pharma GmbH for the purpose of exporting Emblem branded cannabis products from Canada and importing them into Germany. The joint venture will operate under the name Emblem Germany and will be 60% owned by Emblem. Subject to the entering into of definitive agreements, Emblem will supply the joint venture with cannabis oil for sale to German pharmacies, wholesalers and clinical labs for medical purposes. The companies expect to commence export sales to Germany in 2019. Emblem is an undervalued Canadian cannabis producer that is in the middle of a major expansion. When compared to its peers, Emblem is very attractively valued and we think the market underestimates its potential. We are excited by the recent developments and investors need to keep an eye on this one. Last week, in a strategic way of creating value for shareholders, The Green Organic Dutchman Holdings Ltd. (TGOD.TO) (TGODF) announced its intention to complete a spinoff transaction by way of plan of arrangement, pursuant to which TGOD will distribute a dividend consisting of a warrant in a new corporation that is engaged in the acquisition and development of worldwide opportunities. TGOD will distribute to a warrant to acquire a TGOD Acquisitions unit for $0.50. Each unit will consist of one share plus an additional warrant. This additional warrant will be triggered by a subsequent financing to occur following the initial $0.50 offering. TGOD and TGOD management will have the right to backstop the unit in addition to participating in a financing on the same terms. 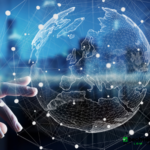 This offering provides investors the ability to join in the future financing alongside TGOD management through participation in the seed round of the company. The distribution will be paid on the basis of one warrant for every 6.67 TGOD shares owned on the record date, to be fixed by the Board of Directors of TGOD following satisfaction of the conditions for the arrangement. 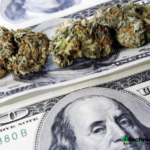 TGOD and TGOD Acquisitions will enter a repayable funding agreement, whereby TGOD will provide $25 million of working capital to TGOD Acquisitions. This will be repayable by TGOD Acquisitions prior to completion of any investment. In consideration for the funding agreement, TGOD Acquisitions will issue a restricted warrant to purchase 50 million common shares for a period of 25 years from the date upon which the shares of TGOD Acquisitions commence trading on the Canadian Securities Exchange. The use of proceeds will include working capital and acquisitions. Although this was a significant announcement, the response from the market was muted and we are monitoring how the team executes from here. Last week, TGOD opened its first dispensary in Jamaica and this company has been nothing short of an execution story. With over $300 million in cash, TGOD has a war chest of a cash and is the middle a major expansion. This is a stock that investors need to keep an eye on. Yesterday, Organigram Holdings Inc. (OGI.V) (OGRMF) reported to be in the final stages of planting the remaining three of the sixteen three-tier Phase 3 cultivation rooms. The Phase 3 expansion has been a major project for the company, increasing production capacity from an estimated 22,000 to 36,000 kg a year. Staggered harvests from Phase 3 are expected to begin in late August and this additional capacity will help ensure product is available for sale when the adult recreational market launches. In addition, Organigram has received licensing on a second harvest room which allows the company to automate its harvesting process. Organigram also received licensing on new automated potting and waste shredding rooms. Organigram recently broke ground on its Phase 4 expansion which will be completed over three different stages in 2018 and 2019. Phase 4a (31 grow rooms) will come online in April of 2019, increasing production capacity to 62,000 kilograms a year. Phase 4b (32 grow rooms) is expected to be ready by August of 2019, increasing the target production capacity to 89,000 kilograms a year. Construction for Phase 4c (28 grow rooms), which will bring target production capacity up to 113,000 kilograms a year, is scheduled to begin in January 2019. The rooms will be available to Organigram by October of 2019. In addition to the expansion of the Organigram facility, the Moncton campus continues to grow. On July 13th, the company acquired approximately 9.1 acres located across the road from its current production facility for $640,000. The land can be used in the future for purposes which may include an edibles facility or further production expansion depending on the company’s strategic review of market conditions. Organigram has been laser focused on a major expansion and we are bullish on this focus. We expect this to significantly improve fundamentals and will monitor how the team continues to execute. We consider Organigram to be an undervalued opportunity, especially after the recent decline, and this is a stock that we are watching. 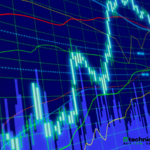 Over the last month, RavenQuest Biomed Inc. (RQB.CN) (RVVQF) has been under considerable pressure and this decline makes the company a stock to watch. RavenQuest BioMed represents an attractive and differentiated Canadian cannabis company that is in the middle of a major growth cycle. Ravenquest is in the middle of a major expansion and will be well positioned to capitalize on an undersupplied Canadian cannabis market. In October, Canada’s recreational marijuana market will open and this will create a major supply-demand issue. Ravenquest expects to be producing approx. 11,00 kilograms on an annual basis by the end of the year and will be able to capitalize on a market shortage. The Canadian cannabis producer is led by a management team with a proven track record of success and who are recognized leaders in the cannabis industry. This is an important aspect of the story and we are confident in their ability to execute and create value for shareholders. When compared to other Canadian cannabis producers, Ravenquest is very undervalued. The company has a multi-faceted growth strategy and we are favorable on this as it helps de-risk the business plan. We are favorable on the valuation and this is a stock that we will continue to monitor. Although many companies are focused on the production of THC, we are very excited by the CBD opportunity. Over the last few years, this emerging sub-sector of the cannabis industry has experienced incredible growth and we do not expect this trend to end anytime soon. We have been focused on companies levered to this burgeoning market and came across the Tree of Knowledge International Corp. (TRKWF) (TOKI.CN), which is focused on the production and sale of CBD products via its subsidiary, EVR Brands. Over the last year, the company has significantly expanded its reach and we are favorable on this aspect of the story. Earlier this month, Tree of Knowledge commenced trading on the Canadian Stock Exchange and the shares have been trending lower. The recent decline has been significant and we believe the market significantly undervalues the opportunity. We are bullish on the company’s ability to execute and will monitor price movements from here. EVR is focused on the global CBD market and is levered to emerging markets in North and South America, Asia, and Europe. We are favorable on the leverage to these burgeoning markets, the geographic diversity and the continued execution. 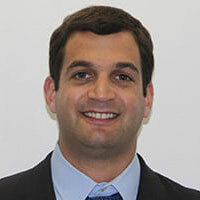 EVR has several levers for growth and is led by a management team with a proven track record. Over the next year, Tree of Knowledge plans to capitalize on new opportunities and is targeting several new, high-growth markets. As the company continues to enter new markets, fundamentals should continue to improve and this is an opportunity to keep an eye on. We think the recent sell-off is overdone and are keeping an eye on the shares.